Outerknown is an American menswear company that produces outwear, sweaters, accessories and more. The company's goal is to provide consumers with clothing that has the best possible make, fit, and look. With Big Apple Buddy’s personal shopping service, you can now buy direct from the Outerknown online store anytime, anywhere. Outerknown has a variety of coats and outerwear that will keep you warm and stylish through any temperature. The Crossing Coat is an ideal top layer for the fall season. 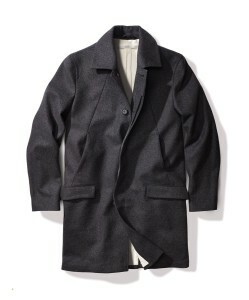 This coat is crafted from a regeneration Italian wool blend that is made of pre-consumer recycled fibers. Its all-over houndstooth pattern is extremely subtle and elegant, and it will help set this coat apart from all of your other fall and winter coats. There is plenty of room for your valuables, with convenient drop pockets at the front chest and additional hand pockets with flaps below. You can also shop from a variety of sweaters that will last you throughout the fall and into the winter months. The Costa Crew Sweater is crafted from a soft, organic cotton-baby alpaca blend yarn from Peru. 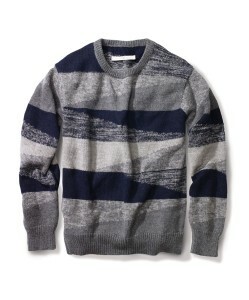 This sweater features a pattern that was inspired by a vintage textile from this same region. Lightweight but still warm, this sweater will take you from the beach to the airport, always ensuring you are warm and stylish. The Compass Shirt is a casual piece that can be worn at any time and used as an extra layer. 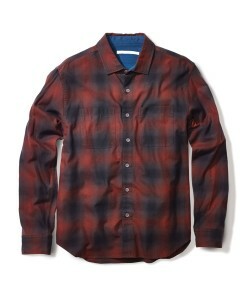 This flannel was designed to be a roomier fit, so it will fit perfectly over any tee shirt or sweater. This lightweight shirt is made with a worn-in feel that makes it comfortable from the moment you put it on. Unfortunately, the USA Outerknown online store does not currently offer international shipping. However, Big Apple Buddy, your personal shopper, can help you buy products direct from the official USA Outerknown online store and ship them to your doorstep, no matter where you are in the world. If you would like to buy from the USA Outerknown online store, simply let us know which items you would like to order (by filling out the form on the right) and we’ll get back to you with a free international shipping quote within 24 hours!